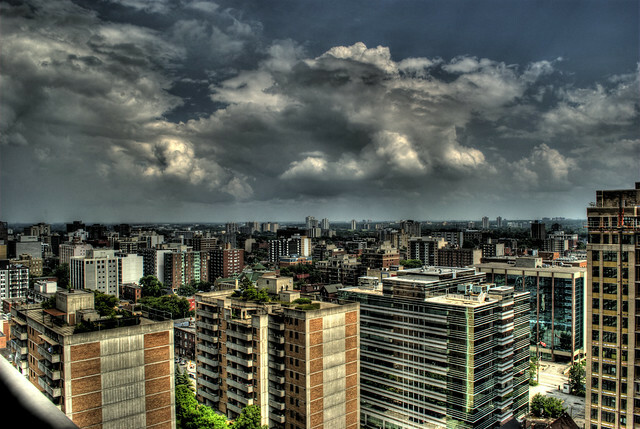 Canada’s capital is located in the Ontario province near the border with New York State. 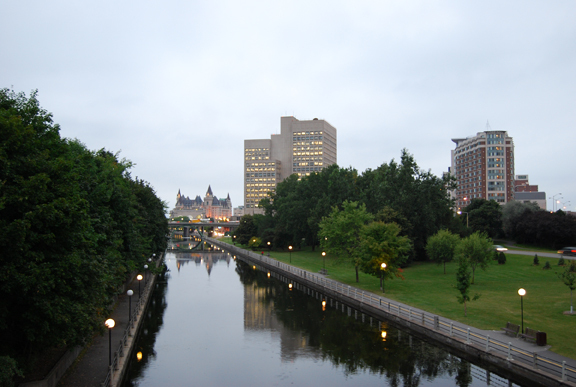 It is a beautiful city filled with grand Gothic-style buildings located on the Ottawa River. You can get a taste of the natural beauty of Canada while also delving into city life. Start the day with a walk along the river, tour a few history museums, grab some street food, and then hit up a dance performance in the evening before crashing at a luxury hotel. It sounds like the perfect vacation doesn’t it? History buffs will enjoy the many museums and historic sites in Ottawa. Get a sense of Canadian government with a tour of Parliament Hill where you can see the Senate and House of Commons. 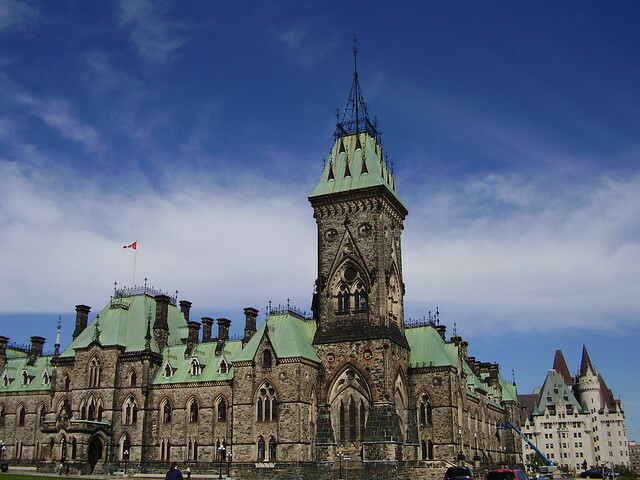 Tour the East Block of the building to learn about the early political history of Canada by touring the offices of the Fathers of the Confederation. From Parliament Hill, its easy to visit many other historic sites in Ottawa. The Museum of Civilization tells the story of Canada from the time the aboriginals migrated onto Canadian soil through the European colonization of Canada to the present. The Canadian War Museum covers exactly what one would think from the name: all the military conflicts Canada has been involved in since their independence. To get a good sense of the city and to take in a bit of its history, consider a guided walking tour. 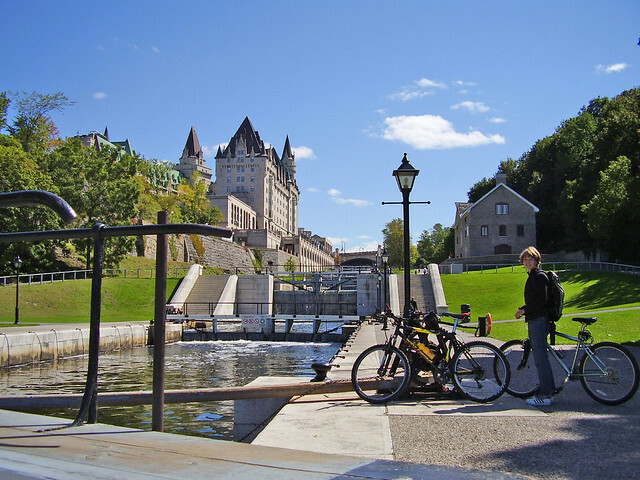 These tours are great for those new to Canadian history as well as those who have a general idea but are eager to pick up some new tidbits while seeing the major sites of the city. While food might not be the first thing that comes to mind when you think of Ottawa, there are plenty of good eats to be had here. As in most major cities, there are many ethnic restaurants with an especially high number of Chinese and Italian eateries. Middle Eastern cuisine is also extremely popular. There are many shawarma shops where you can get a cheap but tasty and filling meal of grilled meats, tomatoes, hummus, tahini, and other goodies. For a true Ottawa specialty, get a Beaver Tail. No, it’s not actually from a beaver, it’s a deep-fried doughy treat. Bread dough is shaped to resemble the paddle-like tail of a Beaver and then topped with just about anything. The most traditional version is sweet and topped with cinnamon sugar. However, you can get many other varieties. Some beaver tails are topped like a pizza, other savory ones are simpler with just a few herbs on top, and you can get sweet ones covered in chocolate.